Recently, we described 3D icon from author Peqpepu. Today we offer a second set of icons from this author. 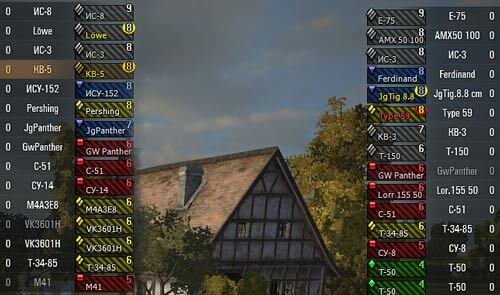 The aim of this mod is that you’ll see colored icons divided into classes on the screen. Now you will visually see how strong will be enemies or alliens team. 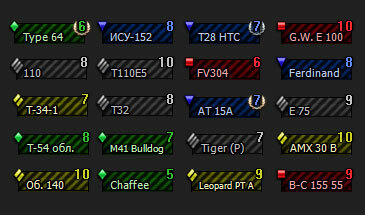 These icons are more compact and have not pictures of the tanks but only their names. Therefore, icons on the screen look neat and beautiful. – Stereo. Stereo option for XVM users.